I ordered some makeup a while ago and I picked it up the other day, one thing that I love about ordering from Kicks is that you get little sample gifts. This time I got this hand cream! 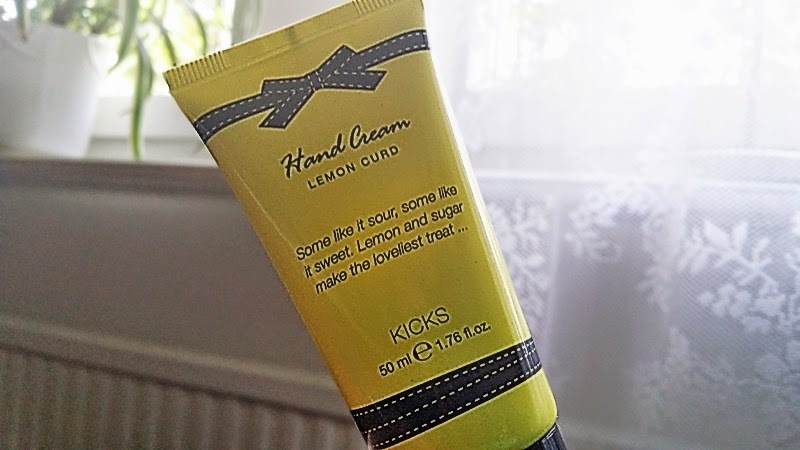 Little goes a long way, the skin absorbs it quickly and it makes my hand smell like freaking lemon cupcakes!!! :D How awesome? ?